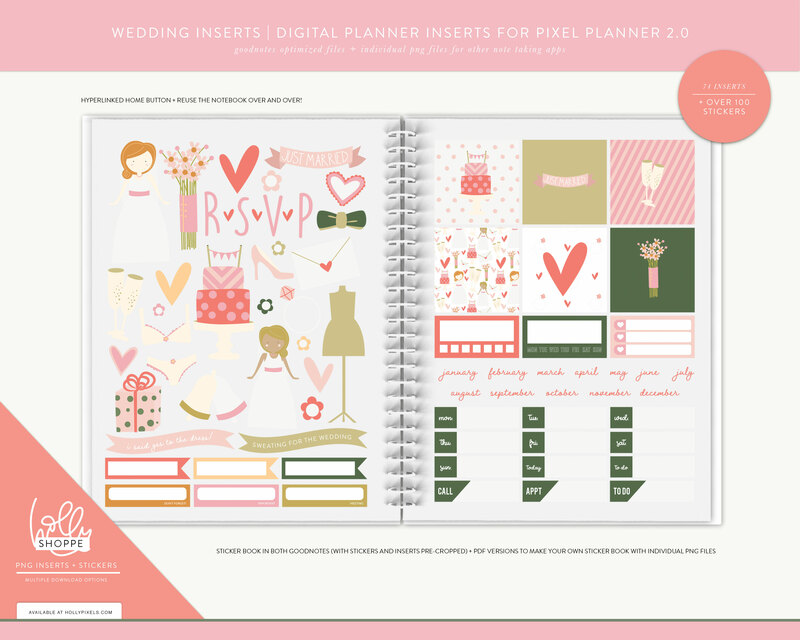 The new Wedded Bliss Inserts and Stickers for digital planners are here! 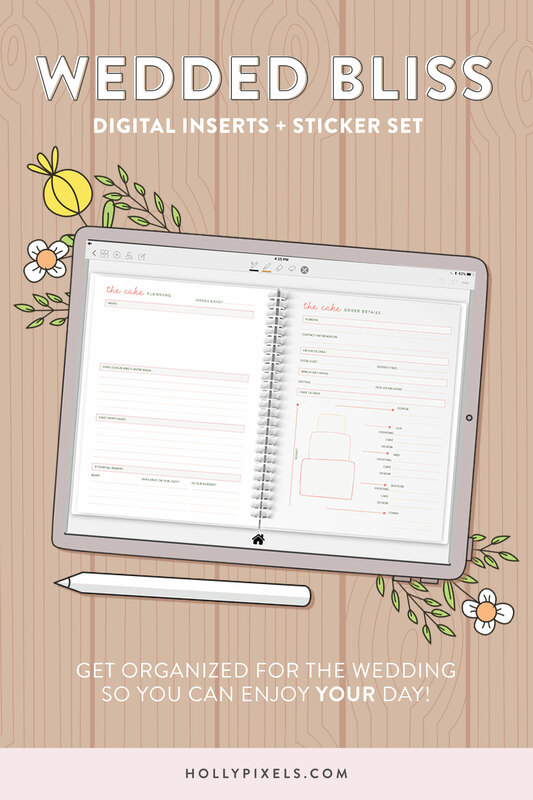 Time to get excited about your upcoming wedding! 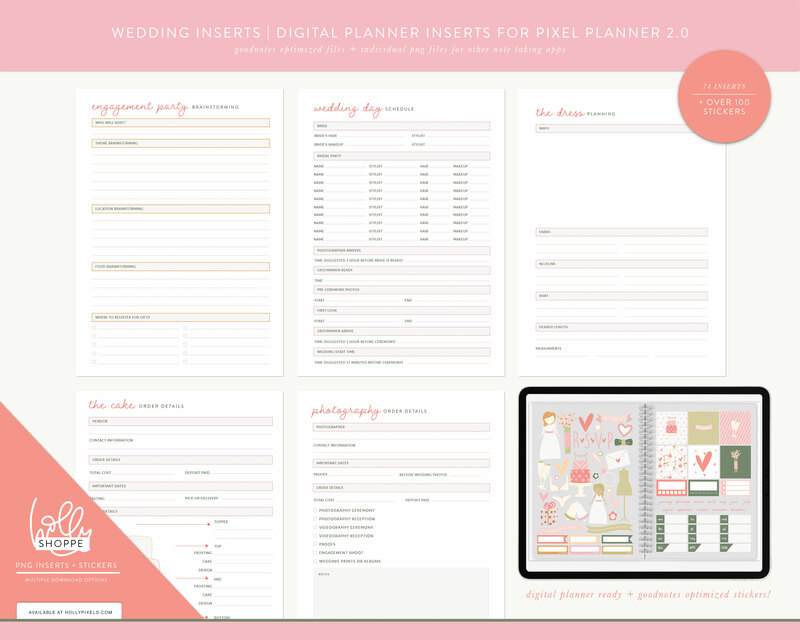 It’s going to be so fun with these inserts and stickers, we did a lot of research and put together a super comprehensive set of planner inserts to fit your digital planners. 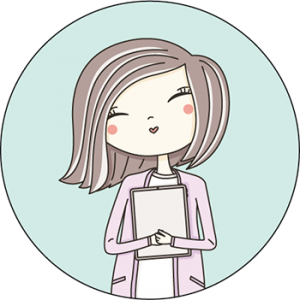 Plus you get an amazing set of cute stickers to plan with! 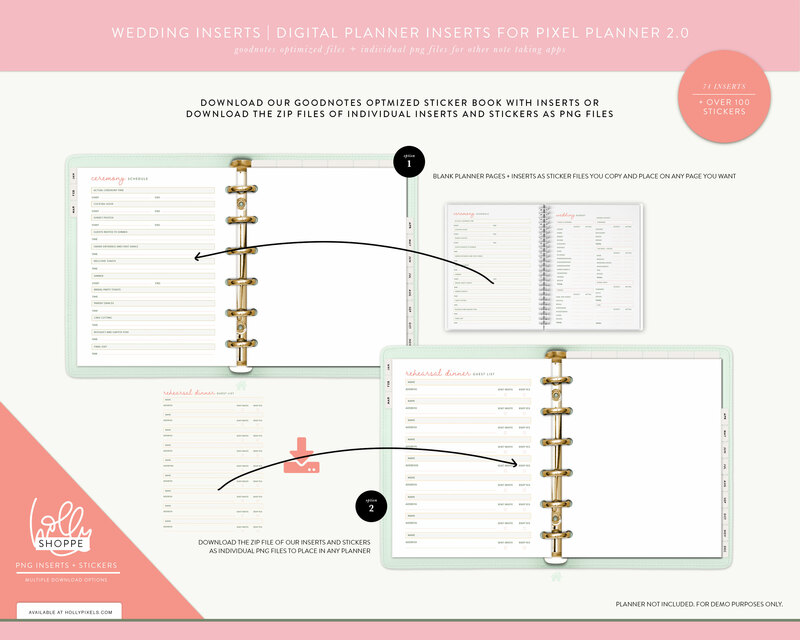 Duplicate our inserts over and over again to use in your planner. 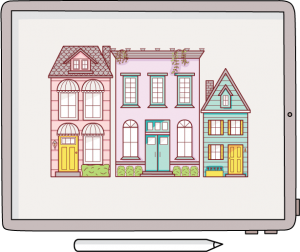 Oh, and did you know you can duplicate your Pixel Planner in GoodNotes and create a separate holiday planner? 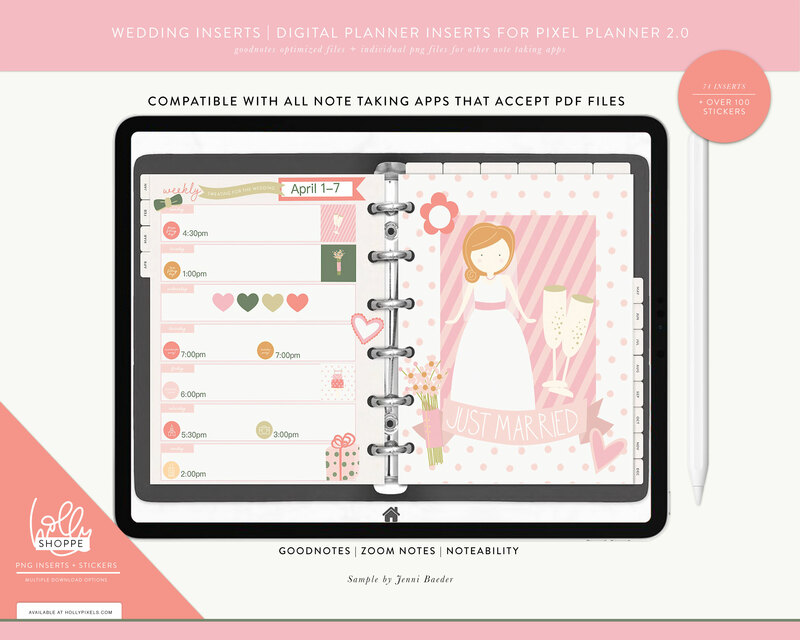 GoodNotes Users: download our GoodNotes file with pre-cropped insert and stickers in a book. Click here to purchase the horizontal set! Click here to purchase the vertical set!